QUESTION: Are Medicardium EDTA suppositories for mercury and heavy metal chelation are a new concept for you? 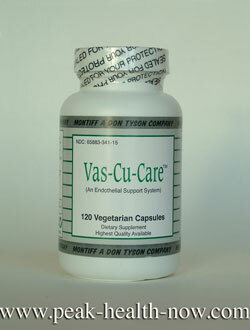 Medicardium EDTA chelation suppositories can stand on their own and be quite effective for most people. Hello Adrian, Thank you for your question. Detox is a very individual matter depending on how much exposure one has had to mercury, other heavy metals and toxins in general. Another issue is, we live in a world in which we are constantly exposed to toxins more or less, no matter where we live. Because of this, to be superbly healthy, most of us need to have detox as part of our lifetime self-care program! I will try to answer your question the best way possible. The suggestions below may need to be modified depending on the individual. Best case: a person who is very healthy and has mercury fillings removed. They don't experience much or any symptoms from the detox. Supplies needed: 4 boxes Medicardium, 1 box Glytamins, 1 box Xeneplex (that would make up the 6 boxes needed for bigger discount - AND provide a good detox under ideal circumstances). NOTE: ALL mercury filling removals even if done by the best dentist with the greatest care, will expose patient to mercury vapor and add toxicity to the body. The Glytamins supports health of liver/gallbladder/kidneys. The Xeneplex moves bile out of the gallbladder and provides Glutathione, the body's most powerful free radical fighter (mercury and other toxins increase free radical damage in the body). In addition, the Xeneplex contains EDTA, so you get more in addition to what is in the Medicardium. 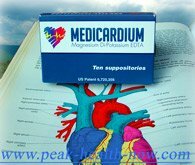 The Medicardium Magnesium Di-Potassium EDTA chelates the mercury and other toxic metals. The reason the Glytamins and Xeneplex are suggested is that the EDTA has to carry the toxins out through the organs of elimination - and you want those to be working quite well to get rid of mercury. Glytamins helps with mercury detox by helping liver, gallbladder and kidneys work better to remove toxins and also keeps them stronger when subjected to the stress of detox. Xeneplex not only has caffeine extract to purge bile from gallbladder. It also supports the glutathione s-transferase enzyme system - your body's most powerful free radical fighting system. Since mercury exposure increases damaging free radicals in the body, it is a good idea to take measures to reduce this activity as it can do a lot of damage very fast. The activation of the glutathione s-transferase system by the coffee extract, plus the added Glutathione is a good addition to a mercury detoxification protocol. You receive a Glutathione boost from the 200 mg of Glutathione in the suppository. Adding to all that is 50 mg of Magnesium Di-Potassium EDTA. The EDTA has many benefits, including increasing nitric oxide. Nitric oxide is a VASODILATOR, which means it relaxes blood vessels for increased circulation. This alone is very helpful when detoxifying the body. Nitric oxide also is healing to the inside of the blood vessel walls among its many benefits. Protocol: Day 1 - Glytamins, Day 2 - Xeneplex, Day 3 - Medicardium, Day 4 - no suppositories - day of rest for the body. Repeat until Glytamins and Xeneplex used up, then continue with Medicardium every other day. Worst case: a person is already very sick from mercury poisoning, has lots of mercury fillings for many years. This would require more comprehensive detox. If it were me, I would add Chlorella in addition to the suppositories (make sure you get the best; I provide the purest Chlorella in my password protected product page on my site. Just let me know and I will give you access if you like). In a worst case, the detox would need to continue on a regular basis at least until the person clearly has recovered excellent health and vitality. I know whereof I speak; I nearly died of mercury poisoning because of above scenario - doctors tried to detox me too fast - with a dangerous substance (DMPS) which is a poor chelator to begin with. It took more than a few years to heal. So even in a worst case, you can detoxify - would just take longer. The above protocol would need to be repeated a few times per year or for someone really sick perhaps on a continual basis as I had to do. The good news is, the very same supplements that support the body during mercury detoxification ALSO keep us younger when used on a regular schedule! You see, we are constantly exposed to mercury and other health-destroying toxins. This makes us get old faster. By detoxifying, we can become younger as we grow older!